Pt. 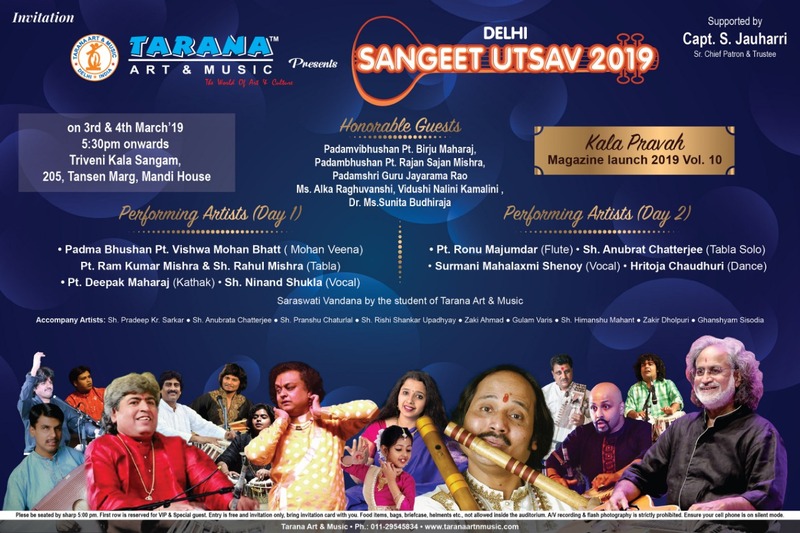 Ronu Majumdar will be performing in a prestigious music festival in Delhi named ‘Sangeet Utsav 2019’. Many eminent artists from the music,vocal and dance field will be performing in this Utsav.